LubriSource is proud to be a top-tier partner with Alemite – an SKF Group Brand. Alemite has achieved an international reputation as a leader in high-performance, high-quality lubrication and fluid handling and management systems. Alemite products are used in manufacturing, construction, agriculture, automotive, pulp and paper, aircraft maintenance, marine and mining industries, providing maximum efficiency, productivity and reliability. Alemite's innovative line of meters and dispensing valves are designed to handle today's demanding product handling requirements. A wide range of configurations and types ensures Alemite has the product needed for a variety of applications. Alemite's control valves can be utilized to dispense a wide range of fluids, including oil, grease, gear oil and other fluids. Constructed of metal components, Alemite control valves are durable and withstand repeated use. Ideal for garage, lube truck or industrial use. With the most advanced electronic meters and the most durable mechanical meters, Alemite has a complete selection of products for any dispensing application. As the inventor of the Zerk lubrication fitting, Alemite knows what it takes to produce a quality lubrication fitting to meet your lubrication needs. Our standard and metric fittings are manufactured to the highest quality standards and are made from the highest-grade materials. Alemite's patented CHAPS system ensures fittings are stronger, more durable and easier to use. Alemite offers a complete line of lubrication fittings to meet the requirements of virtually every market. Alemite is also the only source for Monel fittings and has the capability to custom design and produce whatever fitting you need. Alemite has fittings that conform to SAE J534 and TS16949 standards. Fittings are available in blister packs as well as bulk quantities. We provide manual, battery and pneumatic Alemite grease guns for effective lubricant delivery in industrial plants and manufacturing facilities in every industry. Durability and reliability are key components of every grease gun we sell, from dependable pneumatic and electric grease guns to innovative cordless grease guns to high-quality, high-pressure grease guns. Alemite is why we can confidently say our grease guns are guaranteed to perform strong and stay strong. Whether you need a grease gun to make your facility's lubrication practices more effective, or you need to be able to service equipment in the field, you can count on LubriSource to supply every grease gun you require. LubriSource partners with preeminent grease gun manufacturers like Alemite who offer the widest selection of grease guns on the market. Hand Grease Guns: Time-tested and reliable, manual grease guns are built with a lever- or pistol-style design and designed to stand up rigorously to tough treatment. 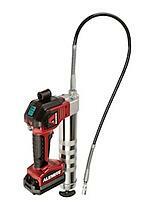 Electric Grease Guns: Lightweight and quiet, electric grease guns can be used to lubricate large or small equipment. Battery-Operated Grease Guns: Durable cordless grease guns are perfect when you need more pressure in hard-to-reach places. Pneumatic Grease Guns: Air-operated grease guns provide comfort and uninterrupted grease flow using compressed air to move the grease through hoses. High-Pressure Grease Guns: For use during heavy-duty applications, high-pressure grease guns develop up to 15,000 psi pressure. Specialty Grease Guns: Whatever you need, we can find the perfect grease gun to fulfill your unique requirements for specialty applications. 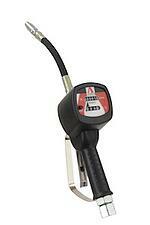 We also sell grease gun accessories to bring comfort and additional functionalities to any grease gun you choose. Contact a knowledgeable LubriSource technician to get started working with superior equipment and service today. Alemite has a pump to meet almost any fluid handling or dispensing need. Designed and constructed to meet the highest standards, Alemite pumps are exactly what you need to keep your operation running. The complete Alemite pump offering includes a wide range of pumps to fulfill virtually every application demand. • Grease - Alemite Grease Pumps are designed to handle a wide range of applications, fluid viscosities and system pressures. 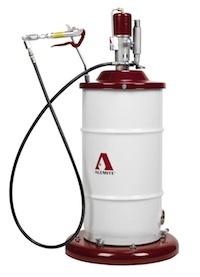 Combined with other Alemite products such as hose reels, dispensing valves and automatic lubrication devices, Alemite Grease Pumps can deliver lubricants from pails, drums, tanks and totes. • Oil - Alemite Oil Pumps are ideal for applications where fluids are piped to multiple hose outlets, reels, metered outlets or portable service stations. 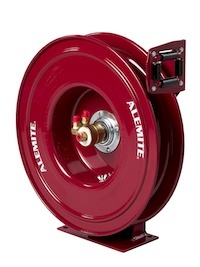 Combined with other Alemite products such as hose reels, dispensing valves and automatic lubrication devices, Alemite oil pumps can deliver motor oils, gear oils, cutting oils, hydraulic oils, machine coolants, automatic transmission fluids and a wide range of petroleum-based fluids from pails, drums, tanks and totes. Use for both bulk transfer and pumping directly from the original container. • Chemical and Material Handling - Alemite chemical and material handling pumps are designed to provide the capabilities and versatility needed to construct systems meeting all the individual requirements of various applications. Chemicals and materials are pumped from their original containers or bulk storage tanks, transferred to the point of application and then sprayed, dispensed or extruded. • Undercoating - Materials may be sprayed using air-atomizing or airless spray systems. Applications include the spraying of adhesives, roof coatings and hundreds of similar applications. Alemite Reels are often considered the standard in the lubrication industry. Designed with the user in mind, our reels are continually tested and evaluated to ensure our customers are getting a reel they can count on. Alemite reels are constructed using high-grade materials and assembled with the utmost attention to quality. Highly engineered to perform better, Alemite reels are safer to maintain and operate. Our full line of reels meets the requirements of the most demanding industries. Used for a wide range of applications, Alemite reels put lubricants and fluids within easy reach. We also sell transfer pumps, mist lubrication, grease guns, Zerk fittings and dispensing systems.